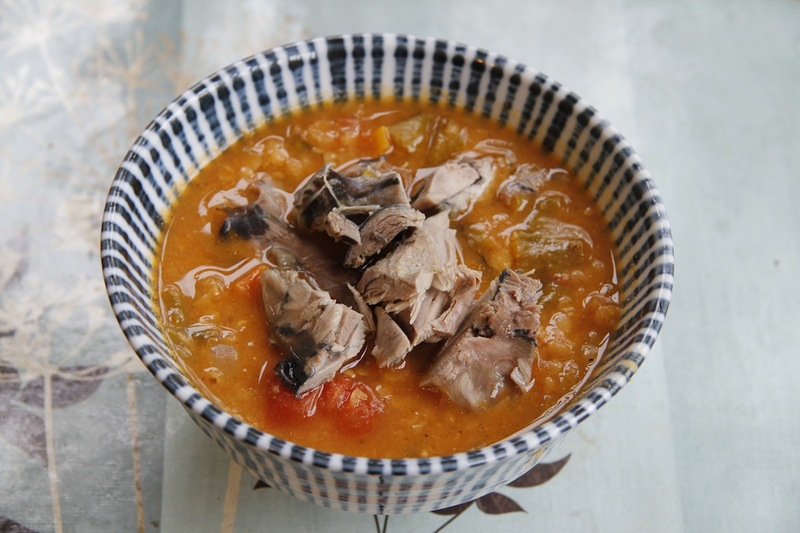 Turkish Lentil Soup: large handful of red lentils, tomatoes (fresh or tinned) chopped onion, carrot and celery and garlic if you want. Gently fry the chopped vegetables in oil until soft. Add the red lentils, tomatoes and water. Cook until the lentils are done. Add lots of lemon juice – add more lemon juice! Season and serve. I generally have it just straight, maybe with some yoghurt or parsley added, but this time I had some leftover chicken from the roast silkies so I added it on top for a bit of extra protein. It was delicious. I make a lot of this and freeze it so I always have something for lunch.